Ever so often, some of you will head over to check out what’s available over at Gucci Children, an entire department dedicated to everything from accessories to clothing to shoes for newborn babies right up to boys and girls aged 12. What’s cool about the children’s range is that it features a wide assortment of adorable prints, such as this all-new #GucciStrawberry motif which comes with the ‘GUCCI’ bubble letters and strawberries all lined up in a diagonal pattern. Measuring 21 cm by 20 cm, this particular tote has become a permanent silhouette in the children’s range, with the #GucciStrawberry above being part of the current Cruise 2019 collection, adapted from the adults range into something just for the young ones. Finished with a bright orange trim, the tote comes in Gucci’s signature beige/ebony GG Supreme Canvas exterior and opens via a single snap closure to a yellow nylon interior. 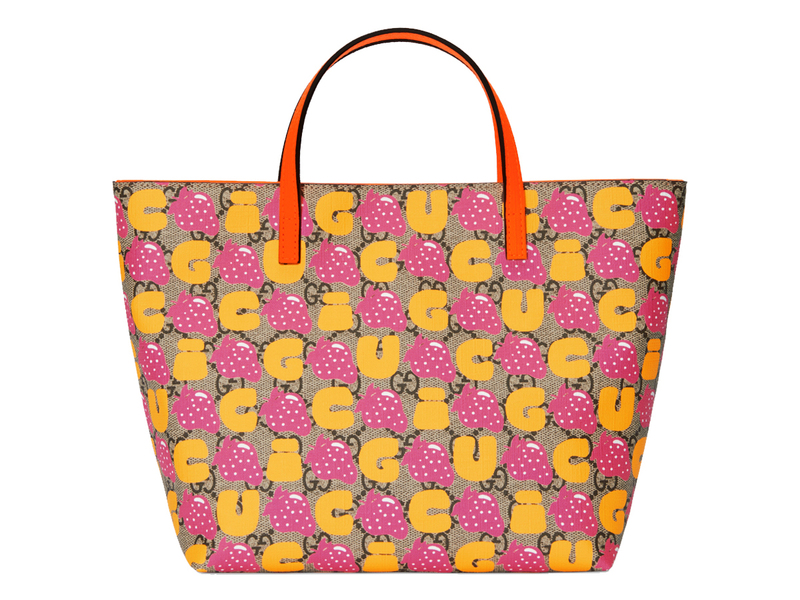 Made in Italy, the GG Gucci Strawberry Tote is priced at SGD650, a great price for such a fun and versatile piece even the adults can use.